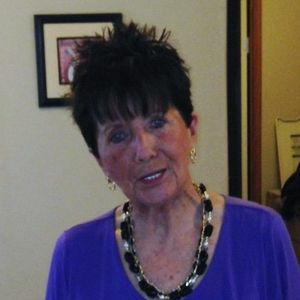 Betty Jane Stewart Nardi, 77, of Bladenboro, passed away on Saturday, April 6, 2019. She was preceded in death by her parents: William and Janie Stewart and husband: John Michael Nardi. Betty leaves behind her son: Michael Nardi (Traci) of Bladenboro, daughter: Mary Nardi Monroe (Tony) of Lumberton; sister: Virginia S. Ramsey; six grandchildren: Vanessa Williamson (Bobby), Abram Long (Megan), Joshua Long (Jonnie Adams), Kayla Johnson (Matt), Devin Nardi (Candice), Jacob Nardi (Katie Saldana); seven great-grandchildren: C.J. Singletary, Braylon Williamson, Eli Johnson, Finn Johnson, Isaac Nardi, Maverick Long and Isla Nardi. Betty was a loving lady who treasured her family, especially her grandchildren. She was a hairdresser for 30 plus years. She loved to shop, enjoyed the beach, and loved cooking for special occasions. Betty will be missed greatly but not forgotten. The family will receive friends from 1-2pm on Wednesday, April 10th at Bladen Gaskins Funeral Home in Elizabethtown with a funeral service at 2pm. Burial will follow services in the Lewis Cemetery in Bladenboro.